Occupying a substantial three acre plot in a hugely sought after location in South Lancaster, is this spectacular five bedroom detached property in Ashton with Stodday. Simply one of a kind, Heronswood is a rare addition to the property market, offering luxurious living accommodation within extensive grounds that include a swimming pool and caravan club approved caravan site. 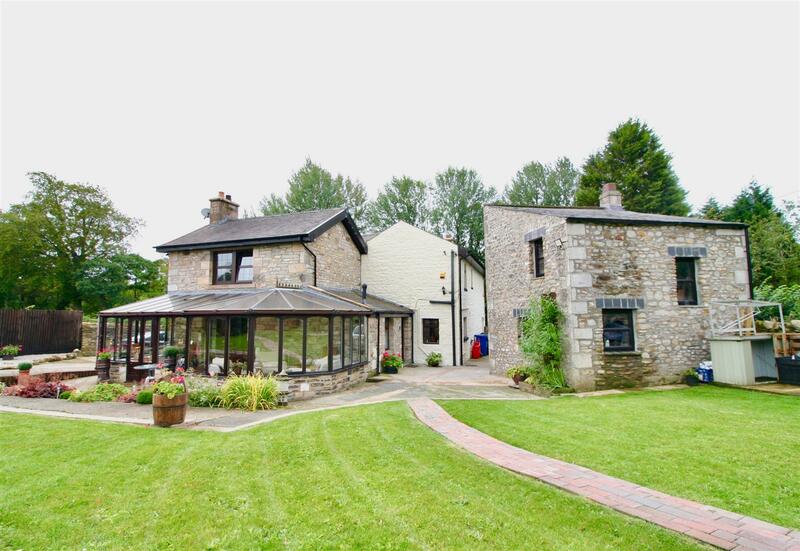 Sitting in an elevated position, the executive property boasts delightful countryside views and will ideally suit those looking to take advantage of the attractive semi-rural setting, whilst lying in a convenient location for Lancaster and its many amenities. These include a multitude of high street shops, ample restaurants, bars and supermarkets that are all within easy reach, as well as highly regarded schools, the award winning university of Lancaster, the Royal Infirmary, the prestigious Lancaster Golf Club and a handy West Coast mainline railway station. For commuters, junction 33 of the M6 is a 3.5 mile drive away, with access South to Preston & Manchester, and North to Cumbria and the Lake District. Immaculately presented throughout, the internal layout is mainly on one-level and briefly comprises an entrance hall, modern fitted kitchen, dual aspect dining room over looking the pool, spacious living room complete with feature fire place, generously sized master bedroom with three piece en-suite, three good sized double bedrooms, a single bedroom, family bathroom, a third WC and a huge games room with its own bar which could also be used as a second living room if required. The internal double garage is accessed off games room. Externally, the plot is split into two roughly equal 1.5 acre sections. 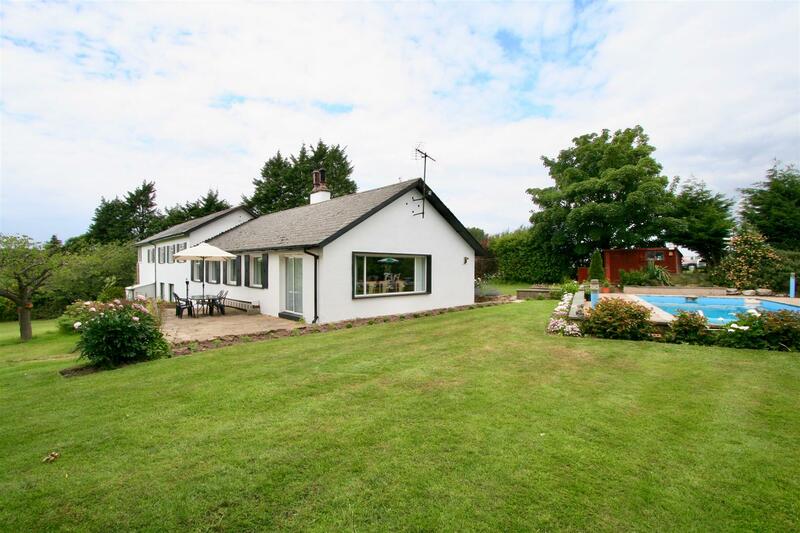 The house itself sits within extensive mature gardens with a tarmac driveway leading up to the property, whilst also providing access to the adjoining land where the caravan site is located. The site has Caravan Club approval for five touring caravans and provides electricity and water. 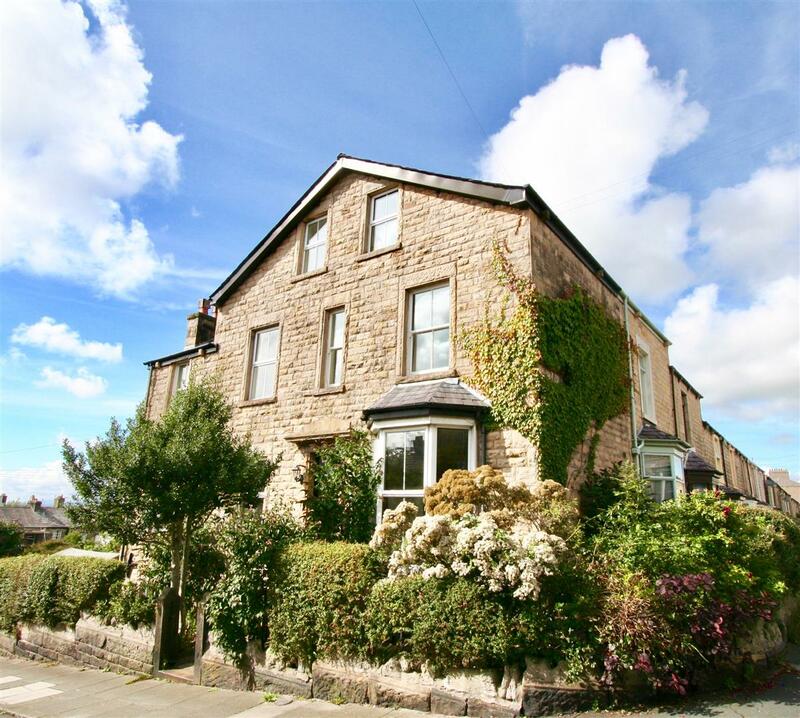 A charming six bedroom Victorian semi detached property in one of North Lancashire’s most desirable locations, within walking distance of Lancaster city centre and all of the associated amenities. Situated on Westbourne Drive, a beautiful tree lined road within the hugely desirable Cannon Hill area of the city, this wonderful property which is set over three floors was built circa 1897 and is an exciting opportunity to purchase an idyllic family home. Tastefully presented throughout, the living accommodation comprises three reception rooms on the ground floor along with a beautiful open plan kitchen/breakfast room, a utility room and a handy WC. The first floor hosts a contemporary family bathroom and four bedrooms, one of which has an ensuite, and the second floor has two more bedrooms, one of which extends into versatile space which could easily be used as a dressing room area. Along with the main internal accommodation, the property has a split cellar which comfortably clears head height. Externally the property has a grand driveway which leads to the detached garage which has power and light and offers parking for multiple vehicles. There is mature garden frontage and the rear has a very pleasant, private enclosed garden comprising lawn and patio areas with a range of decorative shrubs and flowers.. Additional features include gas central heating, solar panels and a wealth of period features including cast iron fireplaces, mosaic and quarry tiled flooring, decorative coving, picture rails and traditional sash windows. The property is around a ten minute drive to junction 34 of the M6 and the Heysham Bay Gateway link road and a relatively straightforward drive to Lancaster University. The University of Cumbria and the Royal Lancaster Infirmary are within walking distance as are both the Train and Bus stations. Offered for sale with no upward chain, contact our office as soon as possible to arrange your viewing visit. It represents an opportunity not to be missed. With some of the finest views across the Lune Valley towards Hornby Castle and Ingleborough, Belle Vue Farmhouse with over 2637 square feet of living accommodation offers the perfect balance between character, charm and space. A five bedroom period farmhouse set in the idyllic, picture book hamlet of Gressingham, it is sure to appeal to a wide range of people looking for accommodation in a tranquil position but with relatively straightforward access for the commuting professional to Lancaster, the University and either Junction 34 or 35 of the M6. The accommodation comprises four separate reception rooms, three bathrooms, an intelligently designed kitchen/breakfast room and a useful utility area. The key internal features of the property include a stunning first floor reception room which takes full advantage of the breathtaking views, the room proportions which offer the perfect family home/entertaining space. Externally the property benefits from a substantial plot and offers a range of out buildings including a traditional outhouse, double garage, storage room, studio and greenhouse. With garden on three sides, there are lawns, vegetable plots, apple trees and flower borders all providing a background to wonderful views. Additional features include superfast B4RN broadband, sophisticated heating and high energy efficiency, generating a healthy income: solar pv and thermal panels a pellet boiler, extensive internal insulation, a functioning burglar alarm and majority hard wood double glazing. The property has been lovingly restored and maintained over the course of the past twenty years by the present owners. Part of the ground floor could be used as semi independent accommodation. Contact our office as soon as possible to arrange your viewing visit. Situated in the idyllic Lune Valley village of Aughton, is this majestic stone built Grade II listed property, occupying a sizeable plot with extensive gardens and boasting spectacular rural views. Bursting with period features, Aughton House is made up of a characterful three bedroom family home and a modern two bedroom barn conversion, that could either be used as a desirable self contained annexe, an inviting holiday let, or, additional accommodation creating a substantial five bedroom property. Dating back to the 17th Century, the charming property is nestled within the highly sought after Forest of Bowland Area of Outstanding National Beauty and also lies approximately within 7 miles of the historic city of Lancaster, along with its wide range of amenities. These include high street shops, ample restaurants & bars, supermarkets, plus, royal infirmary, highly regarded schools including Lancaster Grammar, award winning Lancaster University and a handy West Coast mainline railway station. The nearby M6 motorway also provides vital road links to Manchester to the South and the Lake District to the North. 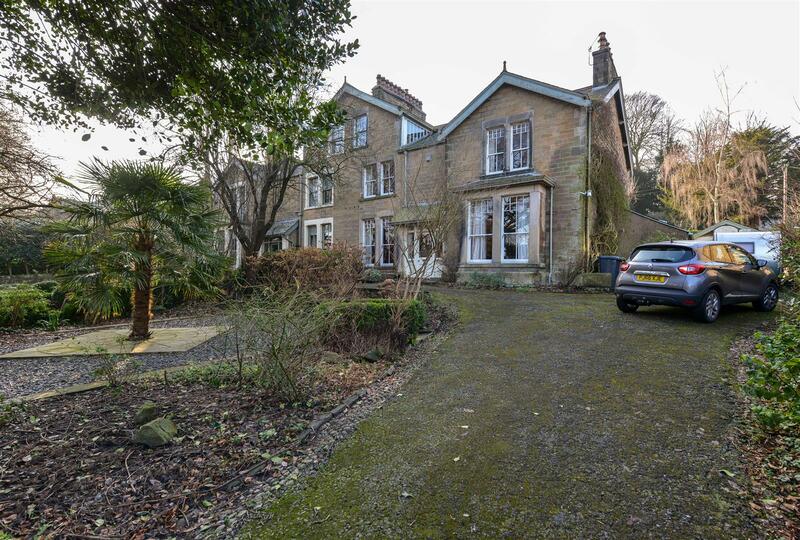 An ideal retreat from busy working life, the main house’s internal layout briefly comprises on the ground floor of entrance hall, large reception room complete with impressive stone fireplace, kitchen/breakfast room, conservatory with views over the garden, utility and rear porch. To the first floor are three excellent sized double bedrooms and a four piece family bathroom suite. The second floor, currently used as a store room/former kids playroom, presents a great opportunity for a master suite providing necessary planning is sought. The annexe, accessed off the entrance hall or by its own front door, comprises of living/dining room, part fitted kitchen complete with Aga, two double bedrooms and a three piece bathroom suite. Externally, the large plot incorporates two/three beautiful garden areas and boasts the sensational countryside views in the distance. The perfect property for those looking for a balance between rural, countryside living whilst having easy access to amenities and urban civilisation. 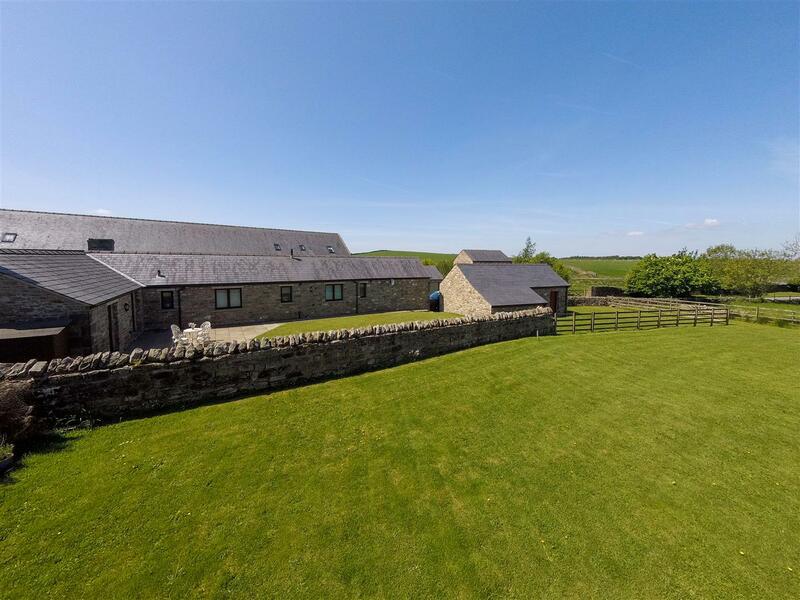 Situated at Middle Highfield in the picturesque hamlet of Aughton and set within a private courtyard in breathtaking surroundings whilst being a mere ten minute drive to Lancaster City Centre, this outstanding barn conversion really does offer the best of both worlds. The living accommodation which is all on one level, comprises a beautifully appointed and spacious lounge with a wood burning stove as it’s centrepiece, a smart family bathroom, a handy WC, a contemporary and intelligent;y designed fitted kitchen and three well proportioned double bedrooms, the master of which has it’s own ensuite. Externally the property has a multi-functional detached barn which could lend itself to annexe accommodation subject to obtaining the relevant planning permissions, off street parking for up to six vehicles and a well maintained rear garden laid to lawn and with a patio sun terrace. The vendors are also prepared to include the sale of an additional plot of 1.1 acres* by separate negotiation. Additional features include oil fired central heating, double glazing and B4RN super fast broadband. Aughton as a village is a short drive into Halton where there are several handy, local amenities as well as being within easy access of the Bay Gateway Heysham link road and Junction 34 of the M6 for the commuting professional. With so much to offer we anticipate a strong level of interest. Contact our office as soon as possible to arrange your viewing appointment. *Estimated measurement. Buyer must satisfy themselves of actual plot size before commitment to purchase. 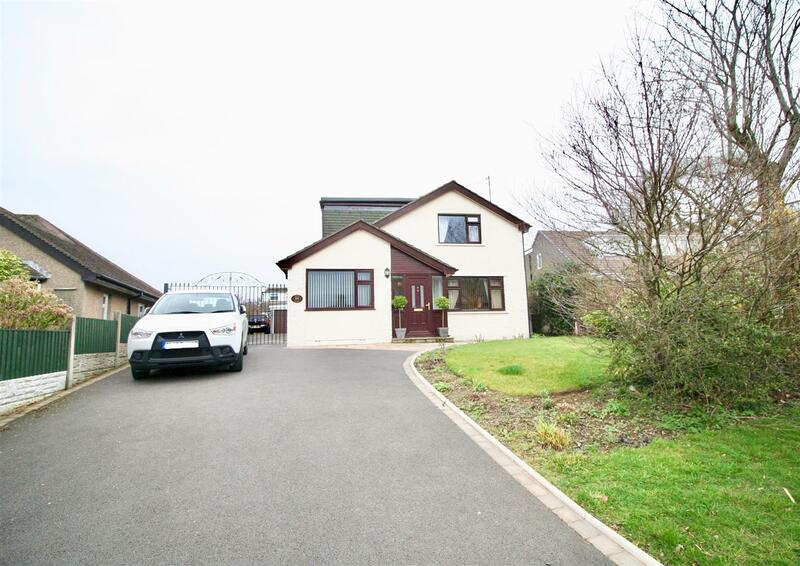 Offering generously sized and high quality living accommodation throughout, is this substantial three bedroom detached bungalow in the popular village of Hest Bank. Immaculately presented, the stunning property is located on the hugely desirable Hest Bank Lane and occupies an impressive plot that boasts large gardens with plenty of privacy. Suiting a range of buyers, the spacious bungalow sits in an ideal position for access to the spectacular Morecambe Bay, as well as the nearby city of Lancaster. A multitude of high street shops, ample restaurants, bars and supermarkets are all within easy reach, as well as highly regarded schools, the award winning university of Lancaster, the Royal Infirmary and a handy West Coast mainline railway station. The situation of the property will also appeal to commuters, with junction 34 of the M6 lying minutes away by road. Other than a double bedroom with en suite shower room to the first floor, the living accommodation is entirely on one level and briefly comprises of a wide entrance hallway, master bedroom complete with built in wardrobes and a huge four piece ensuite bathroom, a third double bedroom, modern fitted kitchen with a range of integral appliances, an open plan living / dining room with access onto the rear garden patio and a further four piece shower room suite. 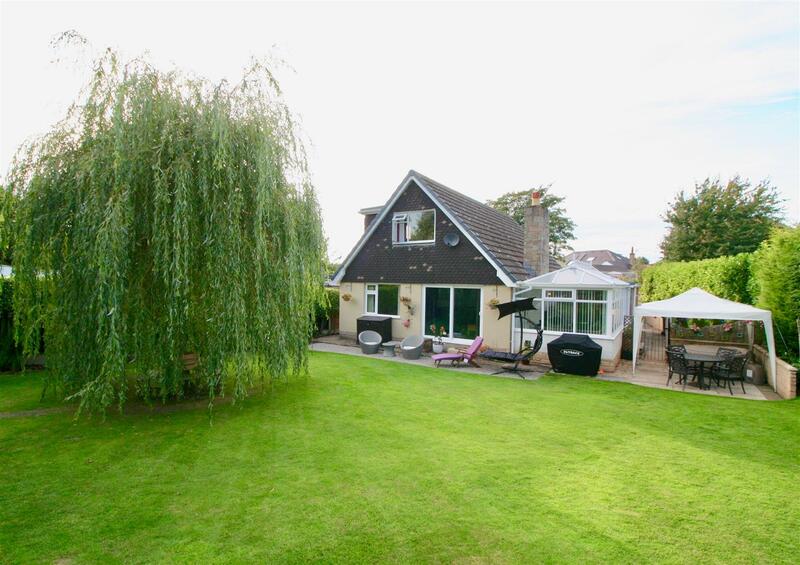 Externally, the plot boasts a long tarmac driveway suitable for several cars, large front garden giving privacy from the road, plus, a sensational and secluded rear garden with patio seating areas to either side of the property. Further off road parking is provided in the way of a double garage but this can also double up as a useful storage area. A stunning example of an executive detached property, set in the quiet coastal village of Overton. Immaculately presented and offering a high standard of finish throughout, South Lodge is a sizeable four bedroom detached family home providing generously sized living accommodation over two floors. Ready to move in, the attractive property is ideally located for those looking for a semi-rural village lifestyle, whilst lying within easy reach to a wide range of amenities and the spectacular Western coastline. The nearby towns of Morecambe & Heysham, along with the city of Lancaster, provide a wealth of practical everyday amenities with Overton itself boasting a primary school, village hall, church and a popular pub. For commuters, the new Bay Gateway bypass allows for quick access to the M6 motorway, as well as Lancaster City Centre and its West Coast mainline railway station. The internal layout of the stone built property briefly comprises on the ground floor of an entrance hall, spacious living room complete with feature log burner, a dining room, relaxing and bright conservatory, modern fitted kitchen, utility room, wc and an office, which would also double up to make a fifth bedroom should it be needed. To the first floor are three excellent sized double bedrooms, each with built in wardrobe space and a range of bedroom furniture – the desirable master of which also as ensuite facilities. In addition on this floor, is a single bedroom and a modern four piece family bathroom suite. Externally, the delightful rear patio garden is an ideal spot for external dining, whilst also allowing for plenty of planting space. Leading from the garden is the paved driveway, large enough for several cars and giving access to the detached double garage. 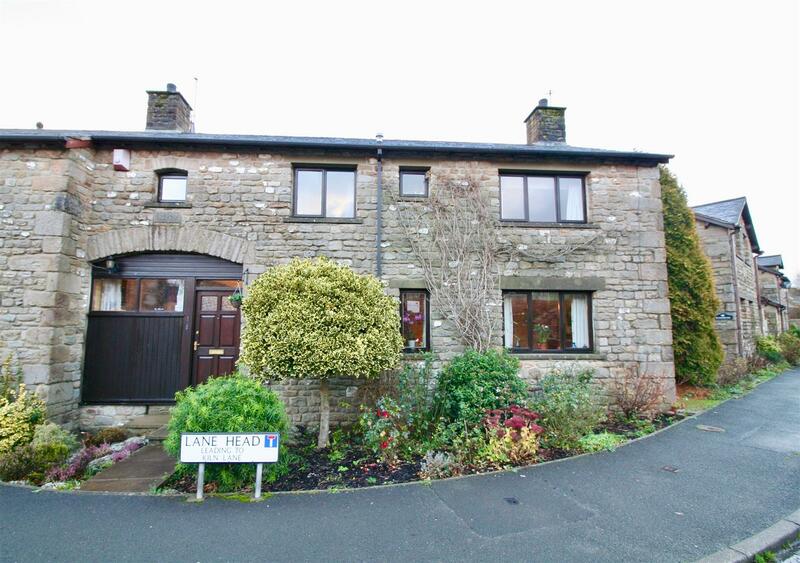 Occupying a substantial plot on the edge of Low Bentham is this generous, three bedroom detached property with two storey annexe. A former Toll House, the sizeable property boasts contemporary and spacious living accommodation over two floors and lies in an enviable position, just off the banks of the River Wennington. Low Bentham itself is a pleasant village with two thriving pubs and lies approximately one mile away from High Bentham along with its wealth of amenities. A railway station, doctors surgery, grocery stores, hardware stores and other local shops make up the fabric of this bustling market town with road links providing access to the M6 & Lancaster within 15 miles. Furthermore, the area surrounding Low Bentham is a walkers paradise with the Forest of Bowland AONB, the Yorkshire Dales and the Lake District all within a short drive. The internal layout of the stone built property briefly comprises on the ground floor of a reception room, living room, large conservatory, modern fitted kitchen, utility room and a dining room. To the first floor are three excellent sized double bedrooms along with a four piece bathroom suite. Externally, The Gate House offers extensive garden space with a large lawn, patio area, shed and off road parking suitable for several cars. Once works have been completed, the detached cottage/annexe would make an ideal holiday let* or ancillary living accommodation, boasting its own driveway and front door. Occupying a generous sized plot with magnificent gardens is this sizeable, four bedroom detached family home on the periphery of Hest Bank. Located moments away from the spectacular Western coastline, the immaculately presented property offers contemporary and tastefully decorated living accommodation over two floors. The dormer bungalow will suit a range of buyers from large families, to those looking for a future proof home with the option of one level living if required. 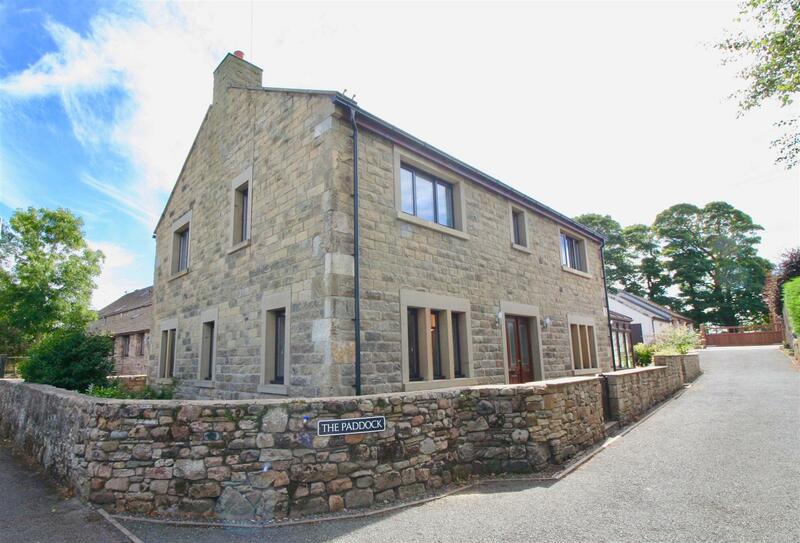 It wall also appeal to purchasers looking to take advantage of the superb location, with the property sitting in an ideal position for access to the delightful Morecambe Bay, as well as the nearby city of Lancaster. A multitude of high street shops, ample restaurants, bars and supermarkets are all within easy reach, as well as highly regarded schools, the award winning university of Lancaster, the Royal Infirmary and a handy West Coast mainline railway station. For commuters, junction 34 of the M6 lies 5-10 minutes away by road with the Lake District lying to the North and the larger cities of Preston and Manchester to the south. The internal layout of the property briefly comprises on the ground floor of a fitted kitchen, dining room, handy utility area, large conservatory extension which is also used as a second sitting room, living room, two double bedrooms and a modern four piece bathroom suite. To the first floor are two more excellent sized double bedrooms and a recently installed WC. Externally, the private and secluded front garden is stunning with mature borders and a desirable corner arbour to enjoy the afternoon sun. To the rear is another delightful garden with seating area, whilst also providing access from the driveway and garage, to the house. Occupying a substantial plot on the periphery of the desirable Lune Valley village of Halton, is this sizeable five bedroom detached house on High Road. Deceiving from the outside, the impressive property would make the ideal family home and boasts contemporary and versatile living accommodation over two floors, as well as delightful elevated views across the Lune Valley. The property also offers great potential with the generous sized plot providing plenty of room for an extension or an outbuilding should this be required. Conveniently located for the historic city of Lancaster, the immaculately presented property is well supported by amenities including excellent schooling, award winning universities and an array of typical city centre high street shops, bars and restaurants that are all within easy reach. Halton itself is also now extremely accessible due to the recently completed M6 link road and has a popular village pub, a highly regarded school, a village shop and a superb community centre all on it’s doorstep. The internal layout of the property briefly comprises on the ground floor of a spacious entrance hallway, large living room, fitted kitchen, dining room complete with patio doors leading onto the rear garden, a stunning four piece bathroom suite, a handy utility room and a double bedroom which is currently used as an office. To the first floor are four double bedrooms and a three piece shower room suite. 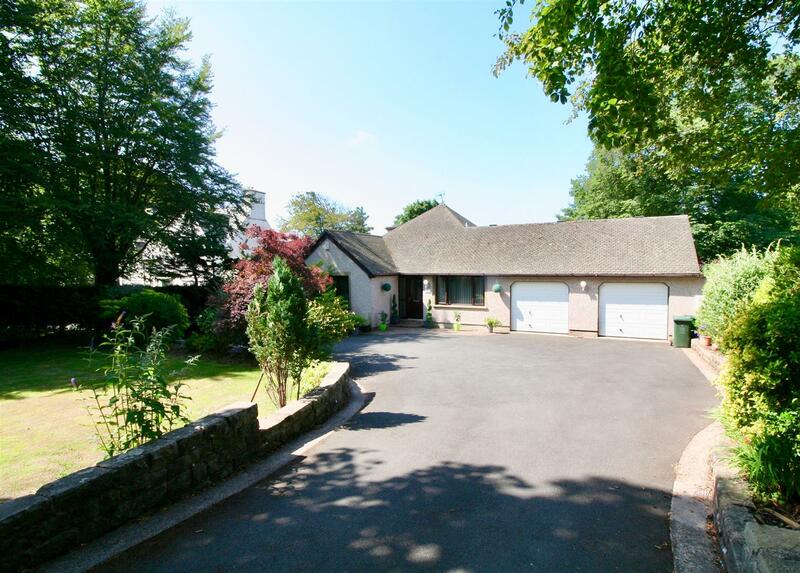 Externally, the considerable driveway provides off road parking for several vehicles and extends down the side of the property, leading directly to the detached double garage. Set back from the road, the family home boasts a pleasant rear garden with patio seating area and lawn, with a further lawn and planting area to the front. A carefully upgraded four bedroom period property set over four floors in one of Lancaster’s more desirable locations and offered for sale with no upward chain. Situated on Rydal Road in the Freehold district of Lancaster, this end terraced family home is sure to appeal to a wide range of aspirational home owners. The living accommodation comprises a welcoming entrance which offers access to the very well presented lounge and dining room, beyond which is a study with views towards Lancaster Castle. The lower ground floor hosts the fitted kitchen and utility room, as well as a handy WC and a more than useful walk in storage cellar. Up on the first floor are two well proportioned bedrooms and a stylish family bathroom and finally on the top floor are two more bedrooms. To the left hand elevation of the property there are quite stunning views, not only of Lancaster Castle but of the River Lune and Morecambe Bay. Externally the property has mature gardens to the front and a private side garden along with off road parking and a wooden garage. Additional features include gas central heating, majority double glazing and a wealth of period features including decorative ceiling coving and a range of period and feature fireplaces. The property is extremely well connected as it is a short walk from Lancaster city centre and all of the associated amenities as well as being handy for the University of Cumbria and the Royal Lancaster Infirmary. For the commuting professional or academic, Lancaster University is around a ten minute drive away and both junctions 33 and 34 of the M6 are a relatively short drive away. Contact our office as soon as possible to arrange your viewing appointment. 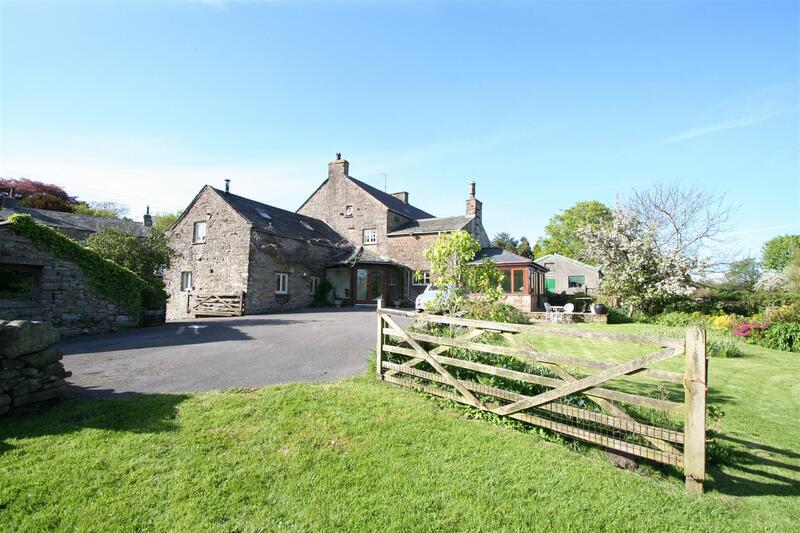 Located in the sought after village of Wray and lying within the Forest Of Bowland Area of Outstanding Natural Beauty, is this impressive four bedroom barn conversion with attached garden and a single garage. Converted in 1987, the semi-detached conversion is the ideal family home, meeting typical modern day requirements such as a master bedroom with en-suite, a study with B4RN connection and a handy utility room. Situated in the heart of the village, the property is well connected for amenities with Wray boasting a local primary school, post office and a popular pub. There is also a local shop, tea room and garden centre nearby and a good selection of secondary schooling that includes the Queen Elizabeth School in Kirkby Lonsdale and the Boys’ and Girls’ Grammar Schools in Lancaster. 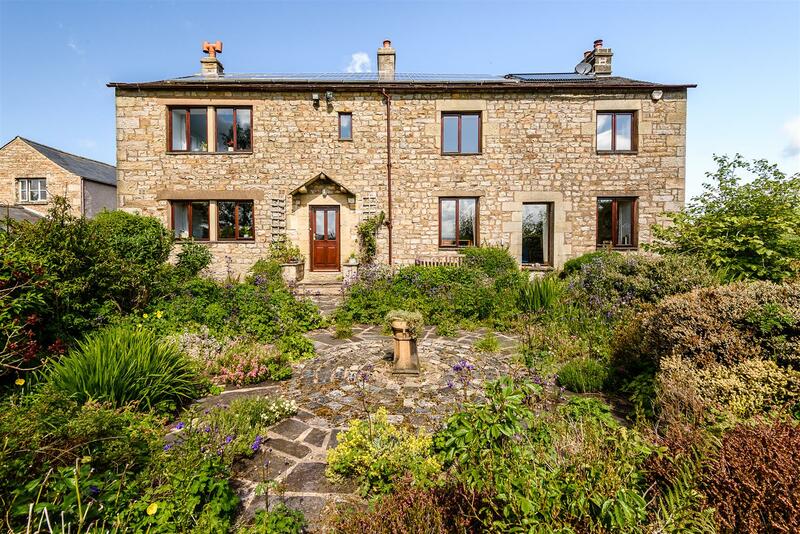 The desirable village also lies within a 15 minute drive to the M6 motorway and the historical city of Lancaster, making it an ideal semi-rural retreat from working life. The internal layout of the property briefly comprises on the ground floor of an entrance hall, a study, living room with feature fire place, a dining room, modern fitted kitchen with integrated appliances, a utility room and a ground floor WC. To the first floor are three good sized double bedrooms with the master boasting an ensuite shower room, a smaller fourth bedroom and a family bathroom. Externally, the rear garden provides a lawn and patio area, along with plenty of planted borders, plus, rear access into the single garage.